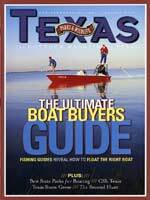 TPW magazine | Archive - January 2005 - William P. Who? If you think that the 730-mile drive from El Paso to Houston is rough, you have nothing on a group of 14 ambitious 6th graders. On Jan. 4, students from California will embark on a three-week trek that will take them from El Paso to Houston in horse-drawn wagons. Collaborating with other students from schools around Texas throughout the trip, the young historians will retrace the route of William P. Huff, a Texas pioneer who made the trek from Houston to California in 1849 in search of gold. Huff’s 300,000-word diary — which provides a detailed daily account of his trip — was passed down to his great-great grandson, David Ewing Stewart of Van Vleck, who is also participating in the project. Each morning, students will read passages from Huff’s diary that relate to that day’s portion of the trip. As a joint venture between Madera Unified School District, the Texas Parks and Wildlife Department, Texas Historical Commission, various county historical societies, schools and private ranchers, the wagon train will encompass many of the same sites detailed in Huff’s diary. With the help of the TPWD, students will visit numerous state parks, and several private ranches have also opened their gates to the wagon train project. “We are providing the logistical, on-the-ground support to help organize and oversee the project,” says Tom Harvey, chief of the News and Information Branch at TPWD. The Huff Diary Wagon Train project will begin on Jan. 4 at the Spanish colonial Socorro Mission in El Paso. It is here that the 6th graders from the San Joaquin Valley in California will begin to retrace the return trail of Huff back toward his trip’s origin and his grave site in Houston. Nearly three weeks later, they will leave the wagons and horses behind as they present copies of the Huff diary to government officials in a ceremony on Jan. 25. The project will culminate at Huff’s grave in Houston on Jan. 27, when the diary will be returned to Stewart as part of a memorial service.